Trust Us to Find the Recovery You Need – Call (888) 352-7180! Did someone cause an accident that lead to your injuries? We can help you find the financial means to help you get back on track. Injuries can leave you sidelined and unable to continue earning a living until you have fully healed. During that time, the costs of treatment and other expenses begin to mount, leaving you stressed and forced to pick up the pieces on your own. Fortunately, there is a remedy for this. 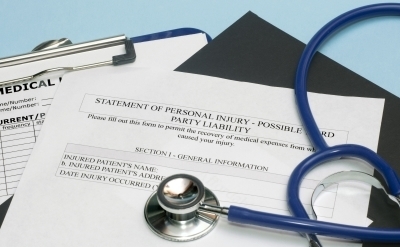 When you contact our Clearwater personal injury lawyers at Paulsen Law Group. At the heart of every personal injury case is a human being in need. You can benefit from having a legal team that is not only experienced but genuinely cares about your needs as a person. With a 100% dedication to helping you find the maximum possible recovery. As your legal advocates, we look at every aspect of your case. We review all of the evidence taken from the scene of the accident, such as photos and police testimony and your medical records to reason with the insurance companies and obtain a fair settlement. Between the medical treatments and conversations with the insurance companies, this an understandably difficult time. Fortunately, under your insurance policy, if you carry Personal Injury Protection (PIP) or Property Damage Liability (PDL), this can make everything easier. However, in more serious cases, it is essential that you have an attorney help you obtain the full amount of compensation, especially for the catastrophic and severe injury cases. That is why we are here to help you. With over 15 years of experience, we know what it takes to find success for our clients. Contact our Clearwater persoonal injury attorneys today and request a free consultation today.